What a night it was on November 9th when Heavy Metal Wrestling got CAUGHT IN A MOSH! Headlined by Sabotage Wrestling Champion HYAN defending her gold against the rookie sensation and crowd favorite JENNA LYNN, Heavy Metal Wrestling’s November event was a jam-packed night of action! 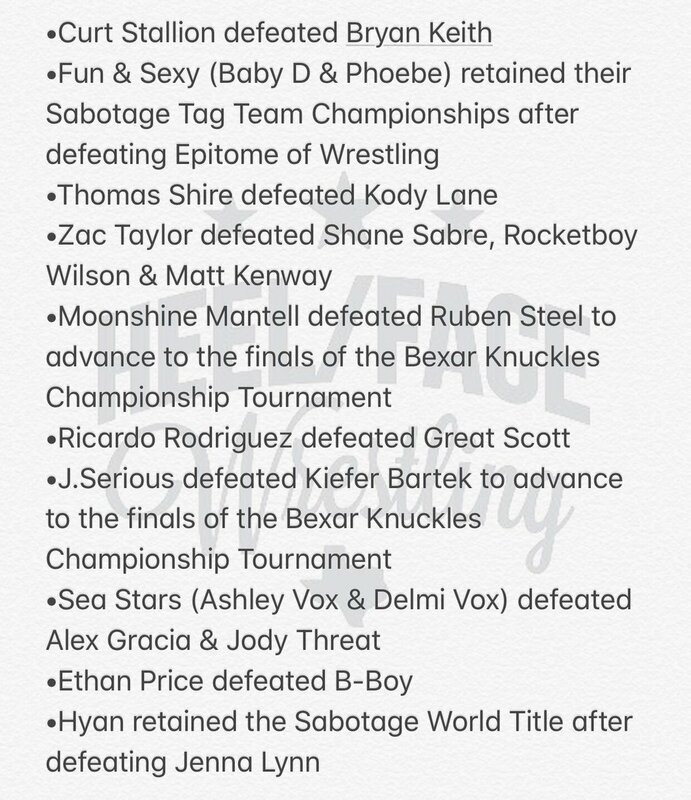 Check out some quick results from our buddies at Heel/Face Wrestling and keep your eyes peeled for replays of Caught in a Mosh!